Title: Modern Israel -- Every 30 Years, In November - From 1917 To 2007! You will discover the unmistakable hand of the Illuminati in establishing the modern state of Israel, from 1917 to 2007! For years, Cutting Edge Ministries has pointed out the reality that both God and Satan place great stock in the use of numbers. God utilizes certain numbers to mean certain things, usually relating to Israel and/or to Messiah (Jesus). Satan teaches his people that certain numbers contain inherent power, so his followers literally worship the power they believe are contained with their certain numbers. According to this definition, the Bible says that a person is a pagan when they worship what God has created rather than God Himself! For this reason, pagans worship the Sun, the Moon, the stars, rivers, planet Earth, certain animals, and other creations of God, rather than worshipping the God the Bible. God, on the other hand, consistently uses numbers in the way He deals with Israel simply because He chooses to deliver a message by the numbers He uses at that particular moment with His covenant people. In this article, we shall interpret the numbers inherent in this story both in terms of God's message and Satan's. Now, let us get into this most fascinating story. To read more about the intriguing use of the number '11', please take the moment to read our NEWS1756, "EVENTS CONTINUING TO OCCUR "BY THE NUMBERS" -- SACRED OCCULT NUMBERS". Let us give you a few examples of when the Illuminati undergirded a key event using the occult signature of the number 11, using the month of November as the key. When the Illuminati ended the First World War, they had just successfully completed the first war of Albert Pike's occult plan to produce Antichrist [Read NEWS1056]. Thus, they deliberately ended it on the 11th Month [November], the 11th Day, at the 11th hour. The signing of the Armistice agreement was thus undergirded by three elevens! When the Illuminati assassinated President Kennedy, he was killed according to the occult number signature of eleven . He was killed in the 11th month (November), on the 22nd day, and near the 33rd parallel. He was also killed in the Masonic Dealey Plaza, a symbol the most powerful secret society in the world today to whom the number 11 is extremely important. The Number 11 was a most powerful occult signature underlying this entire event. When it was successfully carried out, occultists the world over knew exactly what had happened and who had carried it out. November is always considered to be a key month for the Illuminati. What is so significant about the #11, to the Illuminati? As we stated, above, the #11 is the key number denoting the coming Masonic Christ. But, there is another reason the pagans love the #11 so much. To reiterate, every 30 years, in November, a major event has been created affecting the life of modern Israel. Now that we know the importance of the #11 to these pagans, let us examine the number, 30. 2) Every 30 years, a major event in Israel has been deliberately created by worldwide Illuminati. What is the occult significance of the # number 30? First, '30' is created by '3x10'. The most important thing a Perfected Man does not need is organized religion! Therefore, the number "10" to the occultist is such an important number that the Illuminati Plan included the scheme to reorganize the world's nations into 10 Super Economic Spheres (NEWS1002). Western Europe was established first (12/31/1992), followed by the creation of NAFTA in 1993, followed by the systematic creation of economic superstates through 1996. Of course, this part of the Illuminati Plan fulfills Daniel 7:7 exactly. The number "30" literally means that Perfected Men (#10) are working out a plan for the pagan trinity. As we unfold the importance of the number '30' in the plan for Modern Israel, you will see that this meaning is in full play -- 'Masters of the Illuminati' Perfected Men have been working on behalf of of the pagan trinity to create the Modern State of Israel. Since God is in control of the timing of events and since the Illuminati has been forced by His Omnipotent power to create a plan which fulfills His End of the Age prophecies exactly, let us examine the Biblical meaning of the numbers '10' and '30'. Listen to the Biblical significance to the number '30'. Did you catch that most important understanding? God uses the number, '30' in order to "mark the right moment"! Since Satan is known as the great counterfeiter of God, it is possible that this "marking of the right moment" is one of the main concepts behind this incredible story! Let us now go back to our YNET article for more details. At this point, author Gadi Baltiansky lists the three historical events underlying the modern state of Israel, each one of which occurred in a November, and 30 years apart. Let us list each event and then we shall go back to examine them in detail. It is fitting that this story should begin with the Balfour Declaration, for historians point to this event as the real starting point for Israel's return to her land. The Balfour Declaration made Israel's return to statehood inevitable. 4) November 2007 -- "And now, after another 30 years, we're reaching November 2007, the date the United States has fixed for its international conference that is meant to sketch out the parameters of an Israeli-Palestinian peace agreement." We have, therefore, established that events in modern Israel are being directed by a powerful Illuminati conspiracy. So far, this information probably seems a little bland; however, when we consider the exact dates of these three historical events, AND consult our Calendar Calculator, shocking information pops right out! Let us now examine these four events more precisely. By the way, the UN General Assembly vote was 33 'yea' vs 13 'nay'. Of course, '33' is '11x3' and one of the most important of all occult numbers, while '13' is the occult number for "extreme rebellion against constituted authority". The vote was obviously staged. Since the exact date for President Bush's International Peace Conference has not yet been set, it is not possible to calculate the exact time interval. Now that we have established that some powerful political force has been creating events in modern Israel's history every 30 years since the Balfour Declaration was signed, let us now go back to the beginning, at the Balfour Declaration, to see who was the guiding hand of that momentous event. Now, the identity of this powerful political force which has been guiding Israel from the beginning is known, is it not? The man at the pinnacle of the Balfour Declaration is none other than Lord Walter Rothschild! The Illuminati guiding hand is most evident now, is it not? Let us quickly examine the pivotal role of the House of Rothschild in the Illuminati Plan, dating back to 1773-1776. This is the genuine House of Rothschild, the major money banker to the global Illuminati Plan since 1776. Now, let us quickly examine the role of Rothschild in the beginning of the Zionist move to re-establish Israel, the Zionist Conference in Switzerland. We have always noted that God foretold that, when He brings Israel back to His land in fulfillment of Old Testament prophecies, He would allow Israel to initially return in a state of unbelief in Jesus Christ! But, once God has brought Israel through the fires of the 7-Year Tribulation Period, and once He has protected His remnant, Israel will welcome Jesus Christ as Christian believers! God reiterated in verse 14 that He would put His Spirit into Israel at some later point in Israel's national life. 2) God uses the 7-Year Tribulation period as the final fires through which He brings Israel in order that she may become a Christ-believing nation by the time Jesus returns. In fact, the whole purpose of the Tribulation is to allow Israel to be deceived by the coming Antichrist and to pass through the Biblical judgment where God allows Antichrist to kill 66% of all the Jews, while He preserves the lives of a 33% remnant. This remnant will be believers in Jesus and will welcome Him as He returns at the end of the 7-Year Tribulation. Let us review a Scripture which prophesies great tribulation to come upon Israel. Jesus is speaking to the Jews of Israel in Matthew 24. 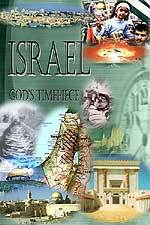 The "fire" through which God plans to take Israel is the 7-Year Tribulation. At the beginning of this period, the Jewish people will falsely believe that Antichrist is their Messiah for whom they have long been awaiting. However, when Antichrist walks into the newly constructed Temple at the mid-point of the Tribulation (Daniel 9:27 and Matthew 24:15) and commits the "Abomination which causes Desolation", the Jews realize that no true Messiah would ever desecrate God's Temple in that way, and understand that this guy claiming to be their Messiah is a fake. As Antichrist walks out of the Temple, his forces pounce upon the Jews, intending to kill them all. (Matthew 25:16-22). God thwarts his plans to kill all Jews, as He promised in Zechariah 13:8-9, quoted above. We see how He intends to protect His one-third remnant, in Revelation 12. Of course, since Jesus describes this remnant as God's Elect, in Matthew 24:22, we can be assured that this remnant is a Jesus Christ-believing people. Since the two-thirds unbelieving Israel has been killed by Antichrist, Israel is now a Jesus-believing nation! This prophetic promise comes after the 7 years of Tribulation in which Jerusalem is constantly attacked by foreign forces. Then, the final verse in this chapter tells why these Elect Jews -- believing Jews -- are so distraught when they see Jesus coming in the air. Did you catch that last prophecy? These remnant Jews are so sorrowful "over having blindly rejected their unrecognized Messiah"! At this point, the unbelieving Israel of today is gone, and is replaced by the remnant whom God has protected. They welcome Jesus as their Messiah as He returns in the air, to begin setting up his Millennial Kingdom. Therefore, Cutting Edge has always taught that this Illuminati-led government of Israel is not worthy of Christian support. Rather, Christians should fervently pray for the "peace of Jerusalem" as it will exist once Jesus returns. Of course, to get to that point, God is going to have to protect Israel's current national existence so that there will be an Israel to whom Jesus can return. Do not be confused with the current Illuminati leadership of Israel versus the Israel which shall exist when Jesus returns. And, do not be confused by the reality that God allowed Satan's forces to establish Israel. God was preparing Israel for her coming 7-Year Tribulation judgment ever since the Rothschild Family supported and funded the first Zionist Conference in Switzerland in 1897. At every step along the way since then, God has been setting up Israel for her coming judgment, so that, when Jesus returns, He returns to a believing Israel. For the past several years, as I watched world events crawl toward an unseen completion, I felt that the Illuminati was stretching things out, so they could meet some coveted time frame unknown to the rest of us. Now, we may know that time frame toward which they have been aiming all along -- November, 2007, which the 30th year past the November 19, 1977, treaty between Sadat's Egypt and Israel. The objective of this meeting is to create the Palestinian State. Between now and then, the world will be treated to a continuous "Wars and Rumors of Wars" scenario, because that is the most effective way to move people to embrace an agenda which is really not in their best interests. Worldwide Illuminati has had its "Unseen Hand" on Modern Israel since the 1897 Zionist Conference in Switzerland, and certainly since the 1917 Balfour Declaration. Since the most important goal of this conspiracy is to stage the Masonic Christ and rebuild a Temple which he will use, you can bank on the fact that the Plan will unfold in such a way as to allow this Masonic Christ to appear, to claim to be the long-awaited Jewish Messiah, and to start building that Temple -- after the Dome of the Rock is destroyed! We now can look at the upcoming November conference, anxiously awaiting the proclamation of the exact date. Will the interval between the Egyptian treaty with Israel (November 19, 1977) to this conference this November add to an interval of days which adds to a '22'? We can only wait to see. Truly, the End of the Age is rushing down upon the heads of all peoples throughout the world. And, Israel is in the middle of the prophetic action!